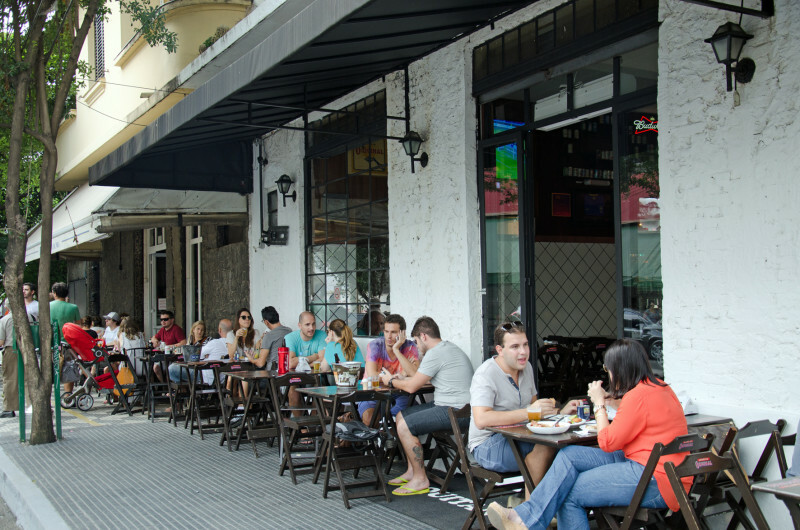 Vila Madalena in São Paulo has been drawing visitors like bees to an abundant hive. It’s an old charming neighbourhood that’s embraced the transition into white-hot cool. Ishay Govender-Ypma reports on the buzz. For SAA Sawubona magazine. I’m staring squarely at Batman. He’s skinny with angular features, pointy ears and a black-gloved finger that indicates downwards. He meets my eyes. I stride downhill, following his directions, grateful. Beco do Batman. Batman Alley. Or Rua Gonçalo Afonso, if you want to type it into Google maps. This isn’t Gotham City, though some have likened the two. I’m in the hip, but not exclusive (depending who you ask), progressive, but old-school, half hipster, half hippie district of Vila Madalena. 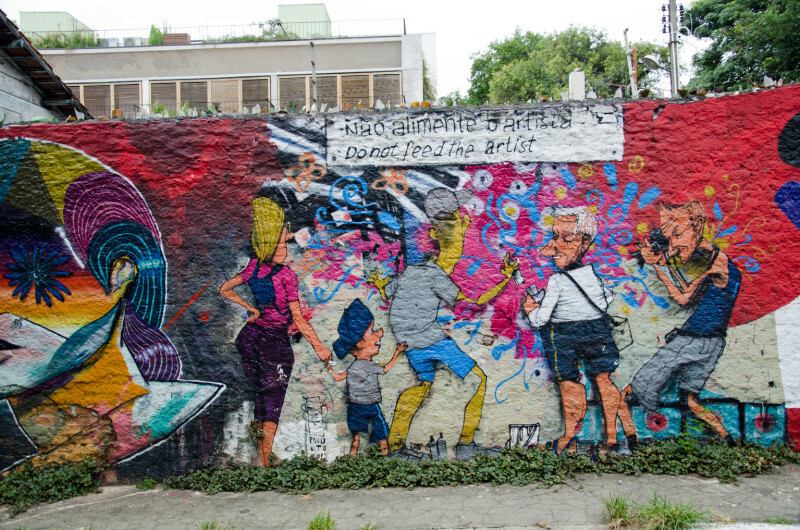 It’s here, and sprawled across the neighbouring streets that visitors – Paulistano and foreign, come to enjoy one of São Paulo’s most colourful and energetic displays of ever-changing street art. 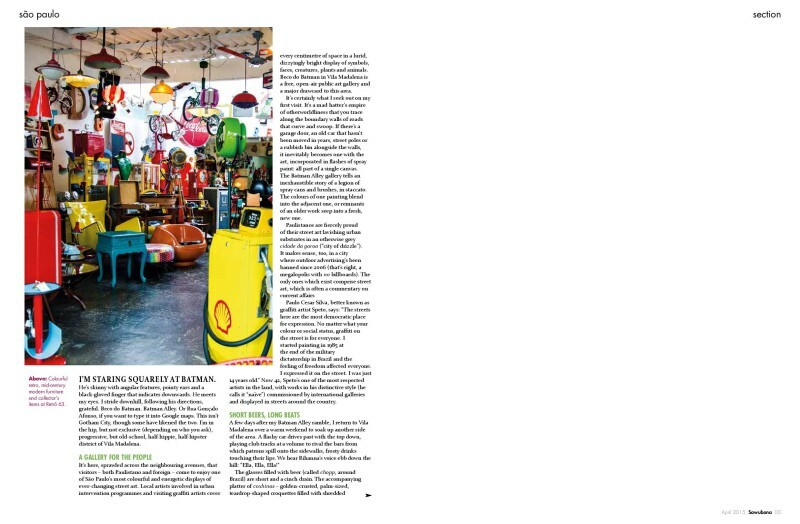 Local artists involved in urban intervention programmes and visiting graffiti artists cover every inch of space in a lurid, dizzyingly bright display of symbols, faces, creatures, plants and animals. 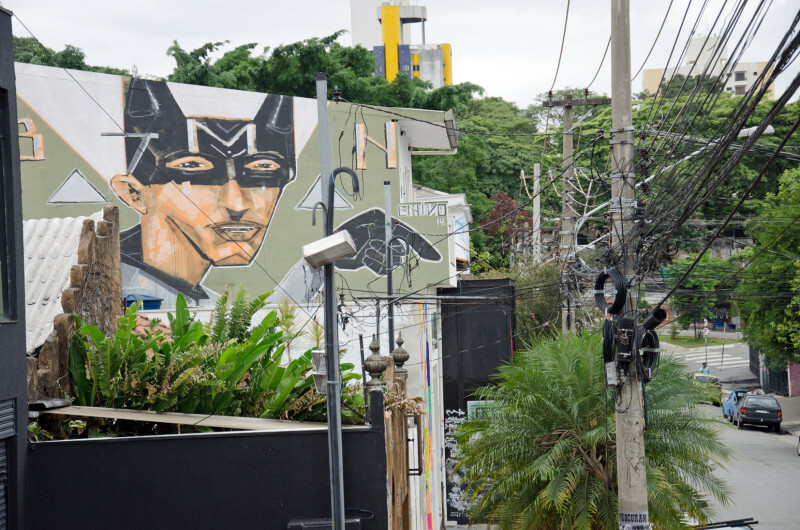 Beco do Batman in Vila Madalena is a free open-air public art gallery, and a reason many flock to the area. It’s certainly what I seek out on my first visit. It’s a mad hatter’s fantasy-land of otherworldliness that you trace along the boundary walls of roads that curve and swoop. If there’s a garage door, an old car that hasn’t moved in years, street poles, a rubbish bin along the walls – it inevitably becomes one with the art, incorporated in flashes of spray paint; all part of a single canvas for these urban artists. The Batman Alley street art gallery tells an inexhaustible story of a legion of spray cans and brushes, in staccato. The colours of one painting blend into its companion adjacent; or remnants of an older work seeps into the fresh, new one. 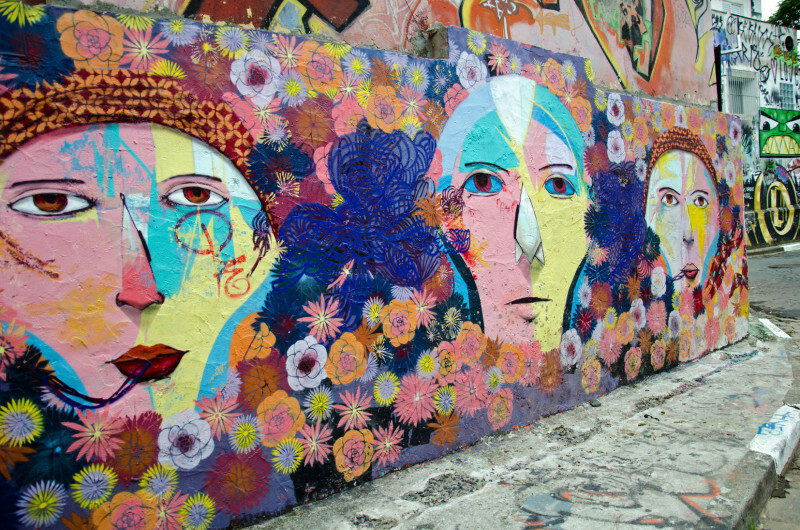 Paulistanos are fiercely proud of street art lavishing urban substrates in an otherwise grey city, or Cidade da Garoa (City of Drizzle). It makes sense too, in a city where outdoor advertising has been banned since 2006 (that’s right, a megalopolises with no billboards) that the only billboards as it were comprise art, often a commentary on the state of affairs or a current event. 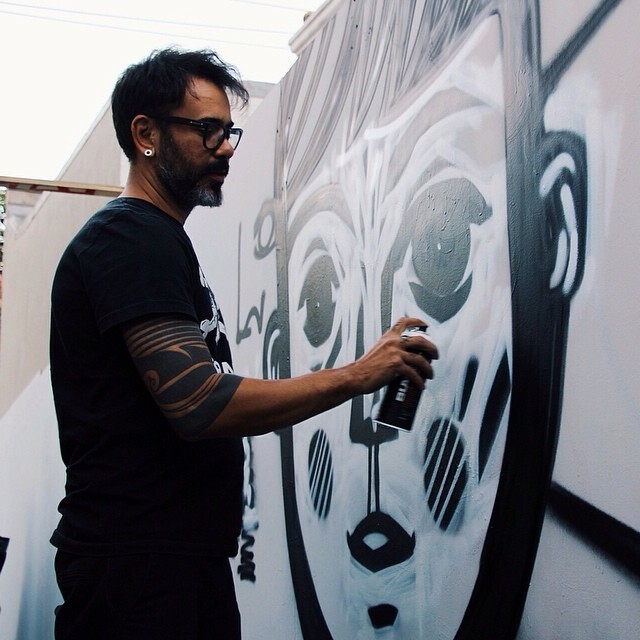 Paulo Cesar Silva, better known as graffiti artist Speto, says: “The streets here are the most democratic place for expression. 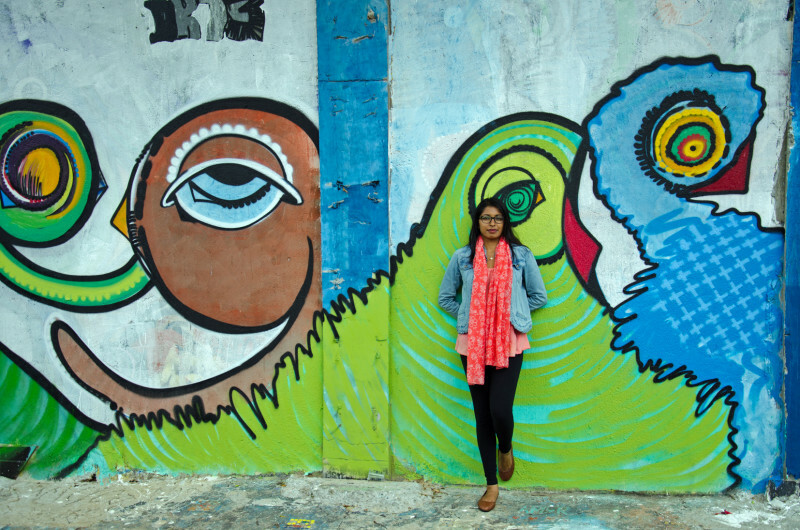 No matter who you are – your colour or social status, graffiti on the street is for everyone. I started to paint in 1985 at the end of the military dictatorship in Brazil and the feeling of freedom affected everyone. I expressed it on the street. 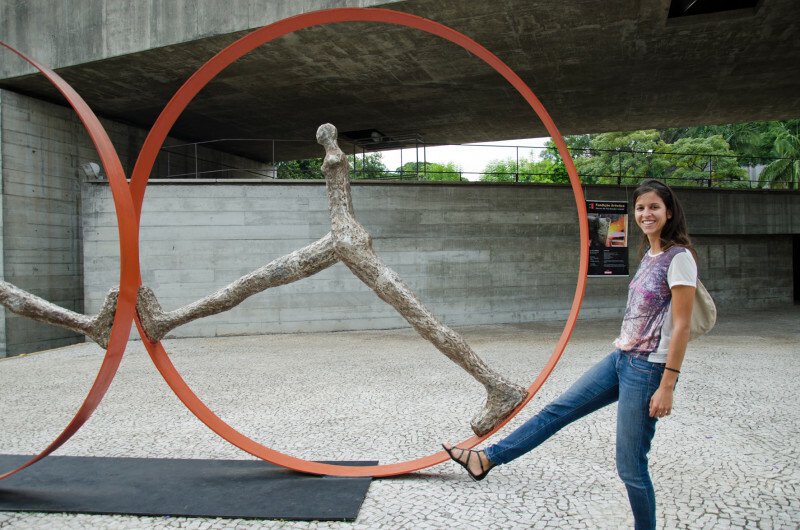 I was just 14-years old.” Speto is 42 now, and one of the most respected artists in the land – you’ll find his distinctive style (“naïve”, he calls it) commissioned by international galleries and along streets across Brazil. A few days after my Batman Alley ramble, I return to Vila Madalena over a warm weekend to soak up another side. A flashy car drives past with the top down, playing club racks at a volume to rival the bars that have patrons spilling over on the sidewalks now, frosty drinks touching their lips. We can hear Rihanna’s voice ebb down the hill. Ella. Ella. Ella. The glasses filled with beer, called chopp around Brazil, are short and a cinch drain. The accompanying platter of coxhinas, golden-crusted, palm-sized teardrop croquettes filled with shredded chicken and cheese, is surprisingly large. We’re not certain we can commit to all of it. 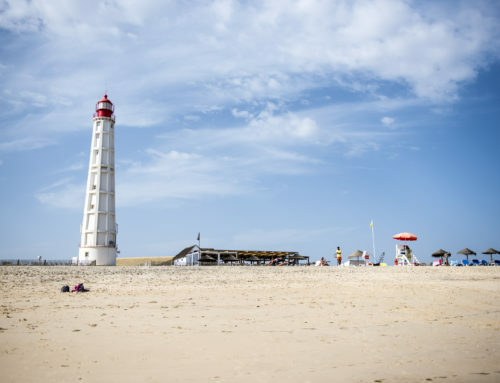 After all, the late afternoon revelry has only just started, and there are many bars, many beers (or caipirinhas, if you prefer), dancing, and dinner still on the cards in this vibrant enclave. 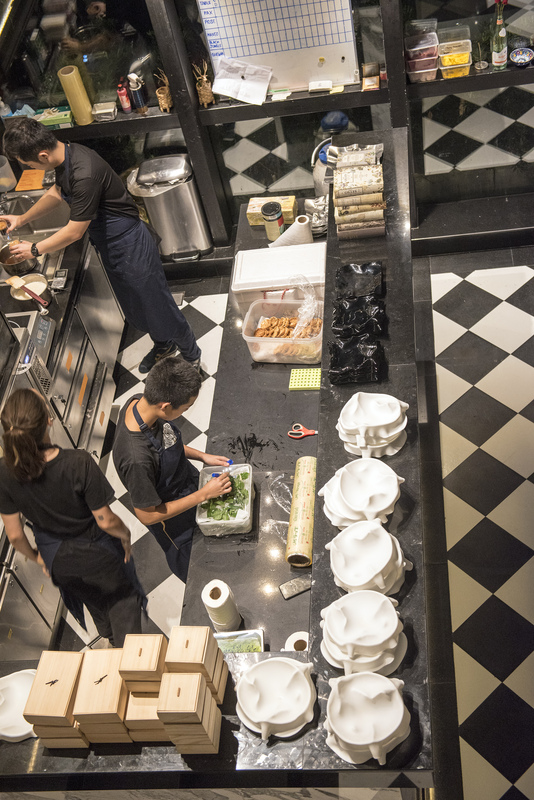 Besides, that is what you’re expected to do here on Rua Aspicuelta and the neighbouring streets on a lazy Saturday, where one bar or restaurant splatters into the next. You sip and savour, bow to the young and reckless who totter by in teeny shorts and nine-inch stilettos and once the cachaça hits the sweet spot, you flail your limbs about in a boogie. Except, the locals would probably call it samba, and it requires a deft sense of coordination and balance, I discover. 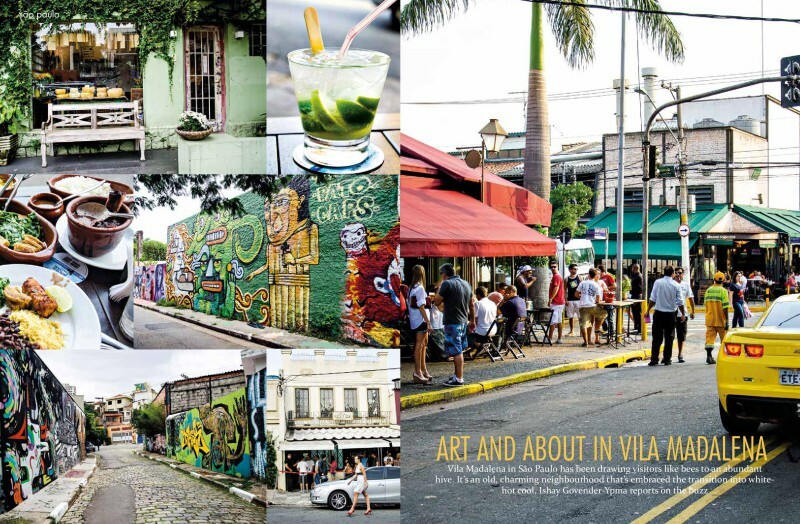 Vila Madalena was once considered bohemian because of the hippies and students who swarmed in due to the housing shortage at the University of São Paulo during the 70s (the last time the word ‘boogie’ may have actually been appropriate) and the 80s, creating a commune of artists, freethinkers and camaraderie. The face of the barrio has since modernised. 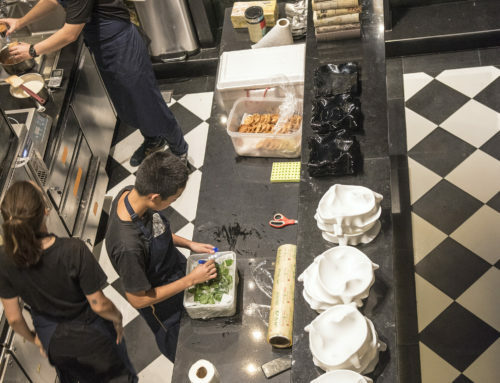 It’s held in a web of gentrification, clearly visible from the apartment blocks under renovation –sleek glass and neatly engineered lines, the designer boutiques and galleries that glint and twinkle in the sunlight, like tinsel in a magpie’s nest. The bar and party scene are somewhat more democratised. While it’s known that the intellectuals and young professionals – the yoga mat carrying, artisanal cheese eating, street-art loving crowd have long populated the Vila, as it’s affectionately called, over weekends it’s the beer and the beat that unifies across class and standing. 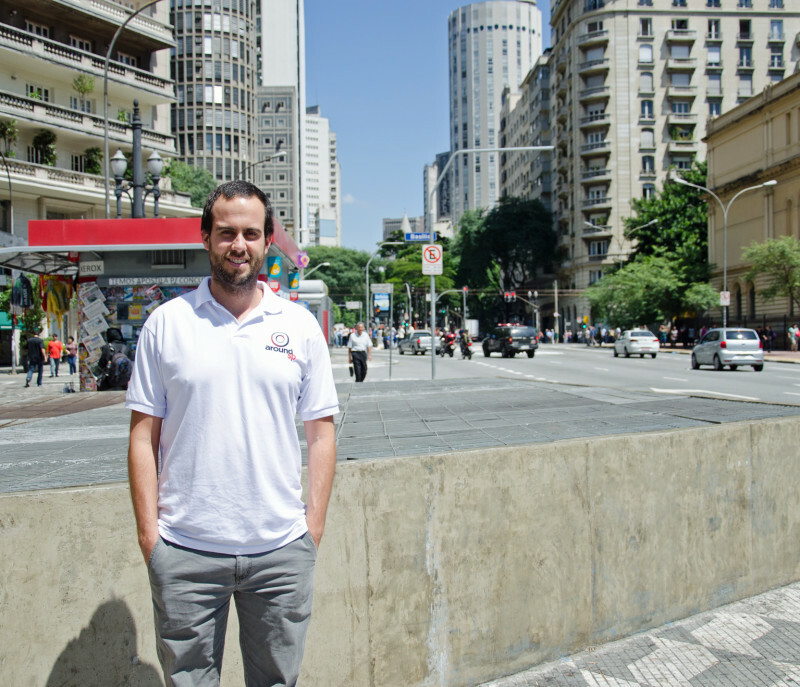 “It really is the most unique and fun place in São Paulo,” says Luis Simardi, founder of Around São Paulo tours. If you recall the reports of the non-stop party in the area during the World Cup in 2014, your mind may approximate the extent of the festivities during the February Carnival. Charming quickly escalated into “chaos”, one report stated. 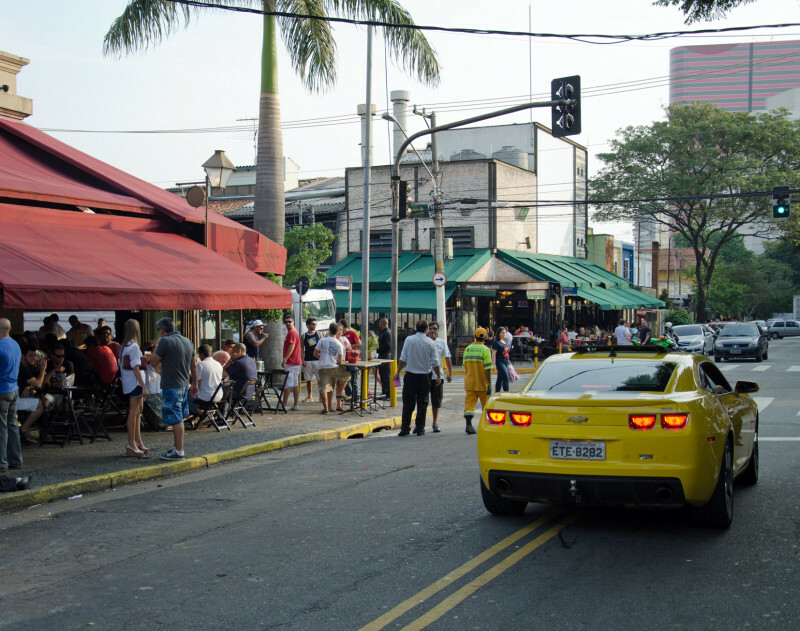 The numbers of revellers allowed in Vila Madalena had to be curtailed. “My friends who live here leave during Carnival,” confesses Simardi. Not everyone residing in this hilly, lively neighbourhood is wealthy. The subway line has made the area accessible and more are fluttering in to relieve their wallets of their wages. 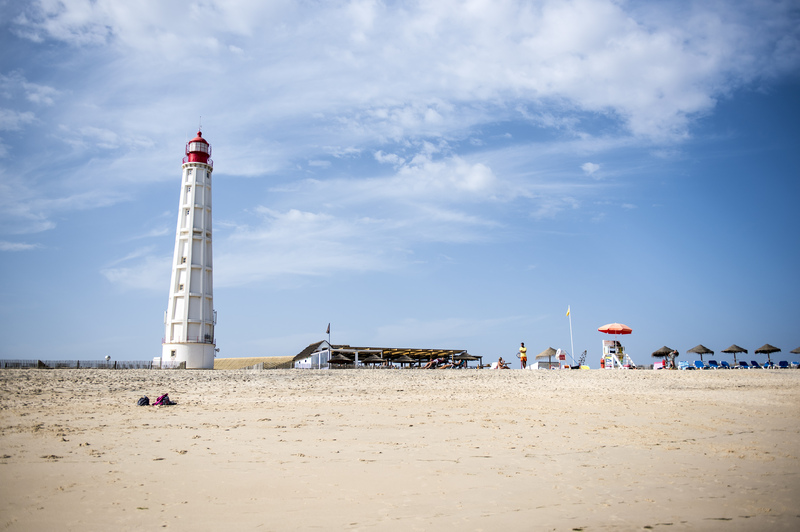 Peel back the layers, or walk through the area, past the trendy watering holes with “free Wi-Fi” and eco-conscious boutiques, and you’ll find signs of dilapidation and fatigue. The old Vila Madalena. “The area was once called Sítio do Rio Verde or Green River Ranch. It’s said to have belonged to a Portuguese [settler] named Gonzalo. He had three daughters and one of them was called Madalena. That explains the origin of the name,” says former lawyer Manuela Colombo, currently the creative economy advisor at the São Paulo City Hall. 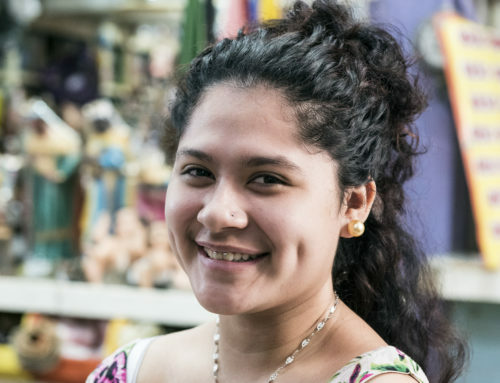 She’d lived in Vila Madalena for years and only recently moved out. “Did you know, the region first began to grow because of to the construction of Cemitério São Paulo, the cemetery in the 1920s?” she asks. Adriana Levi who owns Refazenda, a women’s boutique in Rua Aspicuelta says, “There’s too much inequality in Brazil for everyone to benefit from all of this.” She points to the street. Colombo is wary of the impact of the influx, and rampant modifications. “There are many problems too. Take modern construction companies that are proposing buildings to replace original houses. It’s a big risk if not done with the community’s input and planning. You’ve got to involve the residents. I’m currently working on a project that is being championed by the community, local shops and institutions to create a community park in Belmiro Street,” she says. 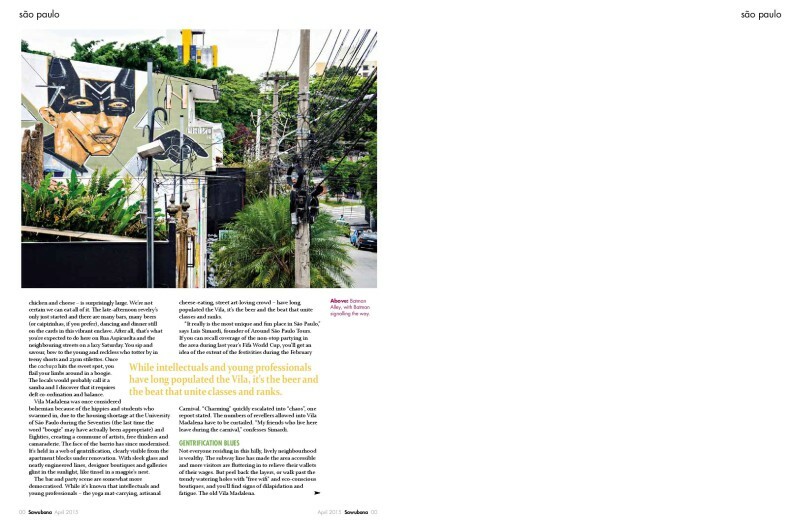 There’s a spin-off in response to the gentrification efforts, such as the Vila Madalena residents taking ownership of neighbourhood projects. “It was here that I was inspired to get involved with movements in favour of better public places, like parks and squares,” Colombo tells me of her work with her previous organization Conexão Cultural (www.conexaocultural.org) that runs numerous cultural campaigns around town, as well as her current projects with the City. 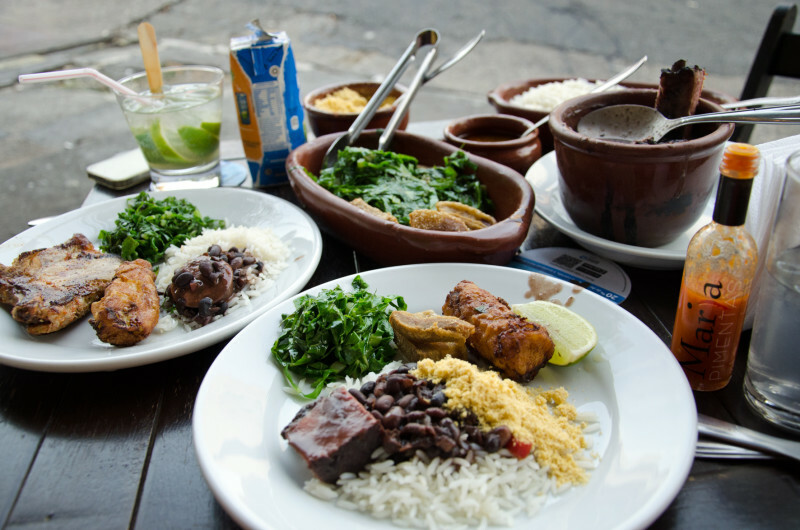 Later, after a hefty feijoada, the local bean stew cooked with pork and served with crackling, collard greens, fresh orange and spring onions (a hearty weekend dish, loved by Brazilians) we take a stroll. Across a church with doors open and in full service, the organ reverberating, youngsters are queuing outside the latest club. 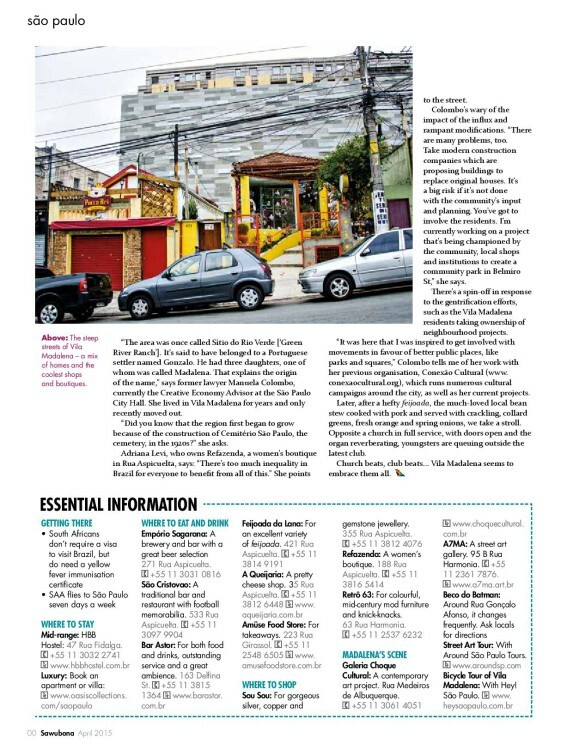 Church beats, club beats, Vila Madalena seems to embrace all. Flights via Johannesburg on SAA….. Luxury: Book and apartment of villa: www.oasiscollections.com/saopaulo. Bicycle Tour of Vila Madalena: Hey! São Paulo, www.heysaopaulo.com.br.